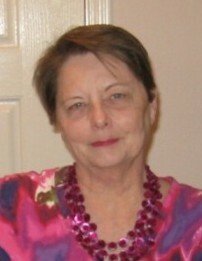 Judith Ann Gravitt, nee Fisher, passed away peacefully on April 5, 2019 in Surprise, AZ. Judy was born in Kansas City, KS, on February 12, 1941. She graduated from North College Hill High School (1959), in Cincinnati, OH, and received a Bachelor of Arts degree from Ottawa University (1963) in Ottawa, KS. She briefly taught school, then a long career in advertising and print media, which she dearly loved. In 2001, Judy and her husband Gary retired to Surprise, AZ. She is survived by her husband, a niece Rachel Huehls (Jennifer Smith), of Asheville, NC, a nephew Mitchum Huehls (Marissa Lopez), of Los Angeles, CA, a sister-in-law Cathy Mink (Len) of Broken Arrow, OK and a brother-in-law, Kent Gravitt (Linda) of Oakdale, CA. She was preceded in death by her parents Betty and Eldridge Fisher, her son, John Koeniger and her sister, Jeanene Fisher. Judy had a gentle, kind soul with an unwavering optimism toward life. She will be greatly missed by all who knew her and loved her. Visitation will be held on Wednesday, April 17, 2019, at 10:00 am until the time of the funeral service at 12:00 pm at Paul R. Young Funeral Home, (Mt. Healthy) 7345 Hamilton Ave., Mt. Healthy, OH 45231. Interment will follow at the family plot in Arlington Memorial Gardens.